Could Chile be the Saudi Arabia of Wave Power? SANTIAGO, May 4 2016 (IPS) – Chile, a country with 6,435 km of Pacific Ocean coast line, could find in wave and tidal power a solution to its need to diversify its energy mix. According to a study commissioned by the Inter-American Development Bank (IDB), this South American country has 164 [GW] in wave energy potential, which makes it unique in the world. 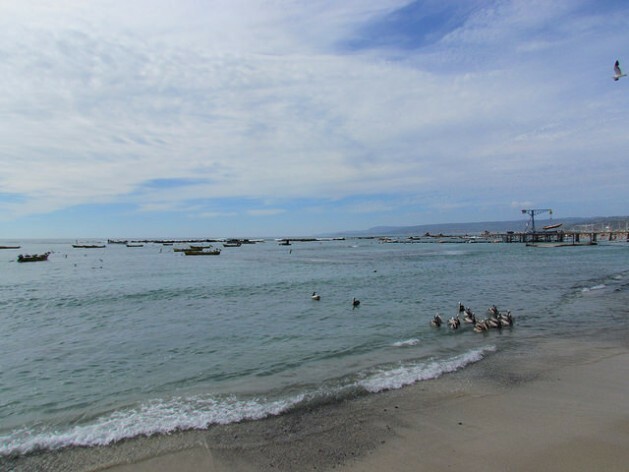 The study stated that even if only 10 percent of the country’s tidal and wave energy were harnessed, it would surpass the existing installed capacity of Chile’s central power grid, SIC, which totals 15,500 MW. “Energy from the sea, in both coastal areas and around the island of Chiloé (in the south), has been studied extensively, and the potential is enormous,” ecologist Sara Larraín, director of the local environmental organisation Sustainable Chile, told IPS. Studies explain that the Pacific Ocean gets deeper the closer one gets to the South Pole, which generates greater wave and tidal power potential and puts Chile in a privileged position to harness this kind of energy. “The pilot projects have gone well, but we’re still a long way from making the leap to industrial-level production,” the environmentalist said. This South American nation of 17.6 million people has a total installed capacity of 20,203 MW of electricity. The interconnected Central and Norte Grande power grids account for 78.38 percent and 20.98 percent of total electric power, respectively. Of the country’s total energy supply, 58.4 percent is generated by diesel fuel, coal and natural gas, while the rest comes from renewable energy sources – mainly large hydropower dams. Only 13.5 percent comes from unconventional renewable sources like wind power (4.57 percent), solar (3.79 percent), mini-dams (2.8 percent) and biomass (2.34 percent). Thanks to wind and solar power plants, the price of electricity in Chile, for years the highest in Latin America, went down to 104 dollars per megawatt-hour – a 34 percent drop since 2013. According to official projections, the country’s electric power needs will rise by 54 percent over the next decade. In December 2015 the government launched the 2050 Energy Plan, which set a goal for 70 percent of the country’s energy to come from clean sources by that year, seven times today’s proportion. By 2035, 40 percent of Chile’s electric power should come from unconventional renewable sources. As part of the plan to achieve these ambitious goals, Chile and France signed a cooperation agreement in June 2015 to set up a Marine Energy Research and Innovation Center (MERIC). The centre, unique in Latin America, will cost approximately 20 million dollars to build, with the Chilean energy ministry covering 58 percent of the cost, through the Chilean Economic Development Agency (CORFO) over the course of eight years. MERIC could make this South American country a regional and global leader in tidal and wave power. According to the government, the aim of the new centre is to develop know-how for Chilean industry, in order to foment integration and promotion of marine energy technologies and, in the near future, contribute to the diversification of the local energy mix and put this country at the forefront in the development of wave and tidal energy technology at an international level. After studying the regional infrastructure and the national supply chain for the marine research industry, MERIC is studying the specific conditions in the Chilean sea along with a network of researchers including allies like the French engineering company DCNS and the Italian company Enel Green Power, along with two local universities and the Inria Chile foundation. “The assessment of resources and ecosystems is in the initial stage, with the gathering of information on the behavior of marine mammals, specific Chilean characteristics in marine corrosion and biofouling (the fouling of pipes and underwater surfaces by organisms such as barnacles and algae), numerical wave modeling and the influence of turbines on floaters,” MERIC executive director Luc Martin told IPS. He added that several potential sites for the studies are being assessed. Seeking to pool expertise in marine energy, MERIC has signed confidentiality agreements with research institutions from Chile, France and the United States, and is preparing to do so with institutions from Brazil, Finland and Scotland. “We hope to put together a multidisciplinary platform for applied research in Chile, to boost the development of marine energy in this country and around the world,” said Martin. To precisely gauge Chile’s marine energy potential and identify sites of interest for the sustainable development of wave and tidal power, the physical, chemical and biological conditions are being studied that would make it possible to establish models of behavior and maintenance of marine energy systems. From Chiloé to the Strait of Magellan in the extreme south, “there are very significant differences in elevation, which could be used to that end,” said Carlos Finat, executive director of the Chilean Association of Renewable Energies, an industry group. He added that the channels, straits and fjords of southern Chile, where marine energy projects are most feasible, are far from the centres of high demand for electric power, which are mainly in the north of the country. “The current power transmission system would not be capable of transporting large blocks of energy between those points, which means extensions that are not currently planned would have to be built. “There is a long way to go before we have commercially viable prototypes, which will undoubtedly take several years to achieve,” he said.